Manx sprinter Mark Cavendish says he feels excited to be based in Belgium ahead of his first cycling season with the Omega Pharma-QuickStep team. 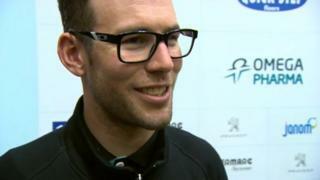 Cavendish will divide his time this season between Belgium, his base in Tuscany and the Isle of Man. The 27-year-old's first race of the season is the Tour de San Luis in Argentina, which starts on 20 January.